The BoBunny Blog: Bling it up! Today's post is dedicated to blinging up your pages and cards and Bo Bunny's Jewels are perfect for the task! Adding jewels to your layout or card can be that perfect finishing touch that takes your project to the next level and don't forget that our range of trinkets are also perfect to bling your layouts and cards up too! 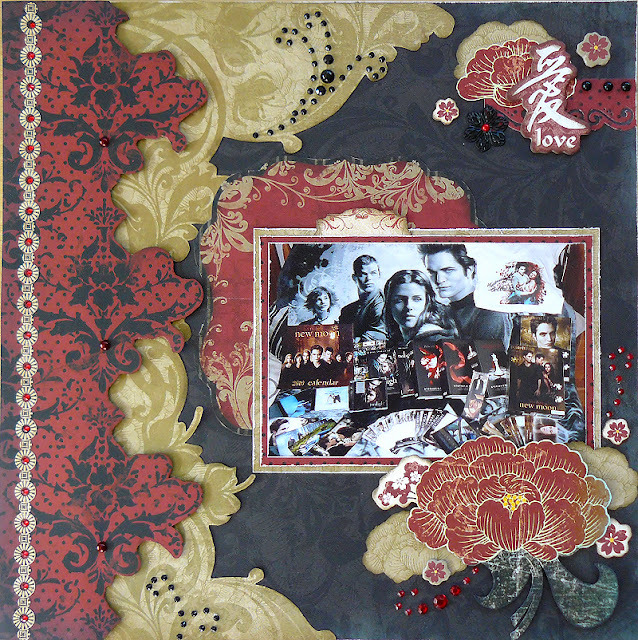 First up is a layout I did using the beautiful new Serenity range which was perfect for this layout of my love for all things Twilight and the co-ordinating Bo Bunny Jewels were perfect for the finishing touches! 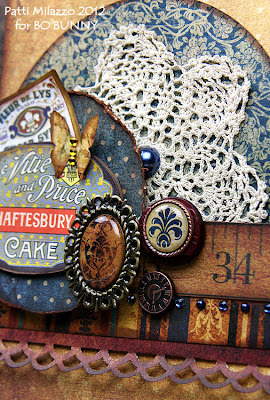 Next up we have this fantastic note card by Patti and she has used the gorgeous new Weekend Market range and some of our new vintage Double Dot for her beautiful vintage style card. 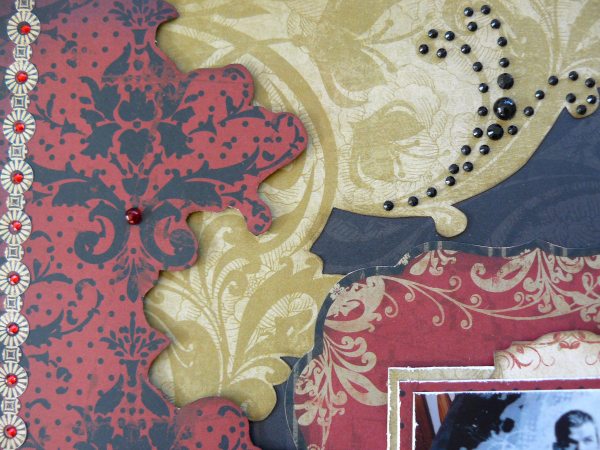 So how often do you use bling on your layouts and cards? 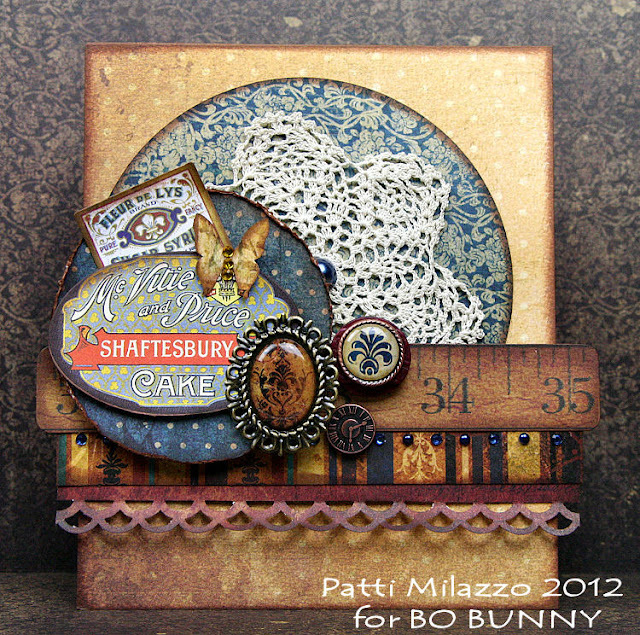 Don't forget to share all your blinged up Bo Bunny creations with us on our Facebook page, we would love to see them! I try to use bling every chance I get on my lay outs. 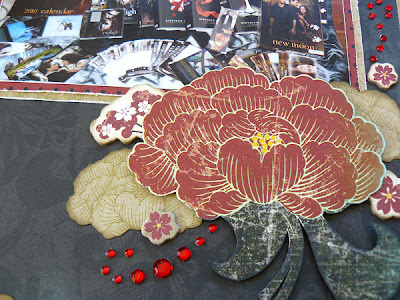 Just one tiny speck of shininess can bring a piece of the lay out to life. 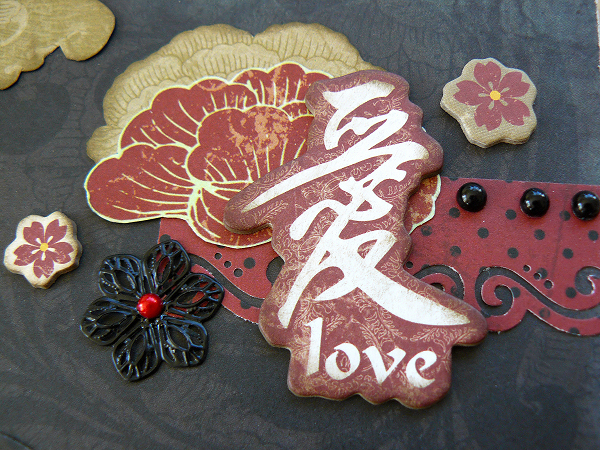 Carin, Loved your card with Serenity! Lovely to see the finished product and so blinging! Fabulous work Carin. Fabulous layout Carin, it was great to see this one being constructed, the bling is adorable (and all your twilight treasures). I love the card too - fab layers.